Promotional leaflets distributed by laser manufacturers all describe the beam of laser toning devices as true top hat. This is true. However, measuring beam quality shows that top hat is impossible with smaller spot size. When I test Korean laser devices, I see strangely uniform beam quality across various devices. This is because the beam is corrected to produce top hat profile at a large spot size(7-8mm). Scientifically, top hat is not possible at these conditions and correction is added to make laser toning safer. The Gaussian profile type beam is converted to super-Gaussian type to assimilate top hat profile as much as possible. A perfect top hat profile would be ideal but it is not possible. Another reason that I believe lasers are not true top hat profile, despite manufacturers claiming to produce true top hat profile, is because they do not actually show a top hat profile in tests.Most lasers do not create contour lines when irradiated on burn paper. This is completely against normal laser behavior. Regardless of how well the laser device is made or corrected, or the spot size, laser should always produce contour lines (similar to annual rings of a tree) when observed in cross-section. Real laser (light amplification by the stimulated emission of radiation) should always produce contour lines. Therefore, it is important to clearly understand the parameters and characteristics of the device you have and adjust the right spot size and beam qualityaccording to the response of the lesion. It is also important to apply different parameters in each lesion as needed. This will increase the likelihood of treatment success in pigment removal. Honesty is the best policy. Of all laser toningdevices out there, none can produce a perfect top hat profile. When I selected the device that produces even and dense contour lines with less correction and used appropriate parameters, I was able to see excellent treatment outcomes. American and European laser devices were developed for lighter skins.QSNYlaser was developed for tattoo removal. Even picosecond lasers had limitations in tattoo removal. South Korea leads the world in the field of pigment removal therapy. South Korea, in particular, boasts a large, vibrant and highly specialized aesthetic dermatology market. When talking to the engineers of American manufacturers, I get the impression that they have profound knowledge about the science of laser but lack knowledge on clinical application and this inhibits them from utilizing the wealth of practical knowhow of Korean clinicians. I was shocked to see dermatologists at an American laser center treating recalcitrant pigmented lesions struggle with laser devices. American doctors who use QSNYlaser with a small spot size at a high output may be skeptical about how Korean doctors use laser toning devices. 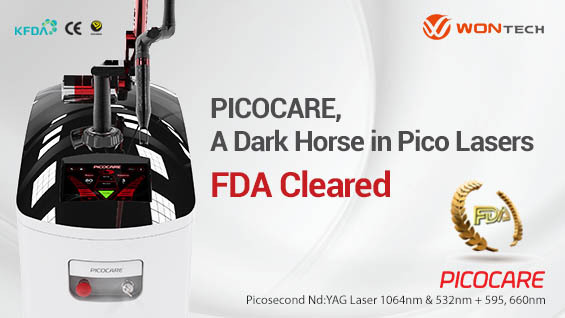 Although the clinical experience of using pigment lasers is completely different between the two countries, it may help American doctors to learn a few things from Korean doctors. Korean women are very intolerant of any blemishes on their skin and this may lead to the undesired phenomenon of laser treatment dumping but it also raises the standards of medical treatments. Anything under perfection would not be tolerated. That is why Korean doctors continue to strive for better efficacy, safety and convenience. In conclusion, these rules should be followed for successful pigment removal. Select the right laser for the lesion. Set laser parameters according to the lesion size. Setting the right output level for lesion size, one can tackle pores, pigments, acne, erythema, and even wrinkles and elasticity using only one Q-switched Nd:YAGlaser device. Many of my patients at Jamsil Hong Dermatology tell me that their skin is more elastic and glowing after only laser toning treatments as if they also received botulinum toxin injection.